MS Dhoni is the brand ambassador of Dream 11. With the expansion of T-20 leagues around the world, fantasy teams competition, operated by many websites, has progressed leaps and bounds. Dream 11, the biggest fantasy site in India, was founded by Harsh Jain and Bhavith Seth in the year 2008. It has its headquarters situated in Mumbai. Currently, this site boasts over 50 million users with its popularity going upward every day. 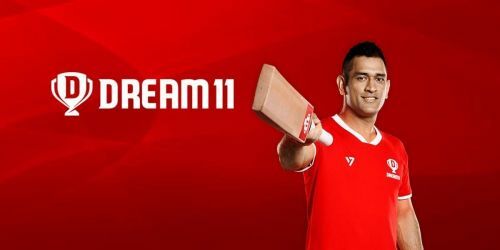 MS Dhoni as the brand ambassador and now becoming the official partner of the biggest T20 league IPL, Dream 11 is an extremely famous project and worth discussing. For cricket fans, Dream 11 has enhanced the liking towards the game. It has involved them with the sport to a great extent. Now, cricket fans not only enjoy the game but also make predictions about it by using their minds, and thus, gain the financial profit. Dream 11 has converted a hobby into a business for many users. Everybody, who comes on this platform, wants to win, but it is not an easy thing to do as it has a great competition prevailed. In this article, I want to talk about three tips that might help users to come good while playing Dream 11. Without a surprise, anyone, who comes to this platform, wants to win big, that too in a short time. And the best option they feel, to do it, is to take part in the grand leagues that are played among thousands or lakhs contesters. In these leagues, users keep losing their money, and in frustration, lose the mindset needed to pick a good team. It is important to not being greedy and try your luck in small leagues, where you can be a winner even with few flaws in your team, unlike in a grand league where even a trivial mistake can take you out of the list of winners for a particular game.